If you’ve been following along with us as we share a few of our select favorite European cuisines, then chances are you’ve also been anticipating our tasting “arrival” in Italy. Any conversation about Italian culture would feel incomplete without an acknowledgment of its incredible food. 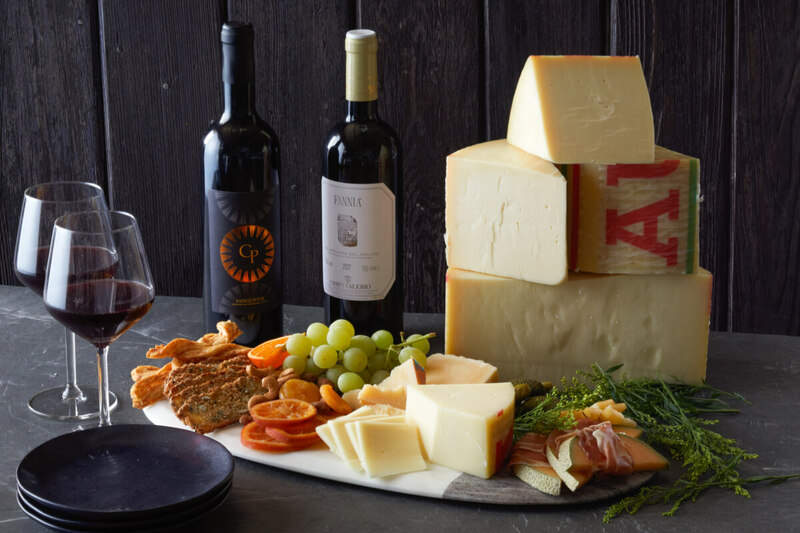 The cured and roasted meats like Prosciutto Di Parma and Porchetta, the creamy cheeses like Bufala and Provolone, and the many pastas and wines of Italy are all legendary; and this month we are featuring stellar examples of each. You’ll truly have everything you need to put together a dazzling Italian dinner of your own. Here are just a few of the Italian imports we’re excited to share with you. Made in exactly one place on Earth — the Emilia Romagna region of northern Italy — Parma di Prosciutto – dry cured, thin-sliced, aged Italian ham – is produced according to a recipe that is nearly two-thousand years old. Each cut is taken from pigs bred, raised and fed according to specific guidelines, hand-rubbed with sea salt and aged for a full year. 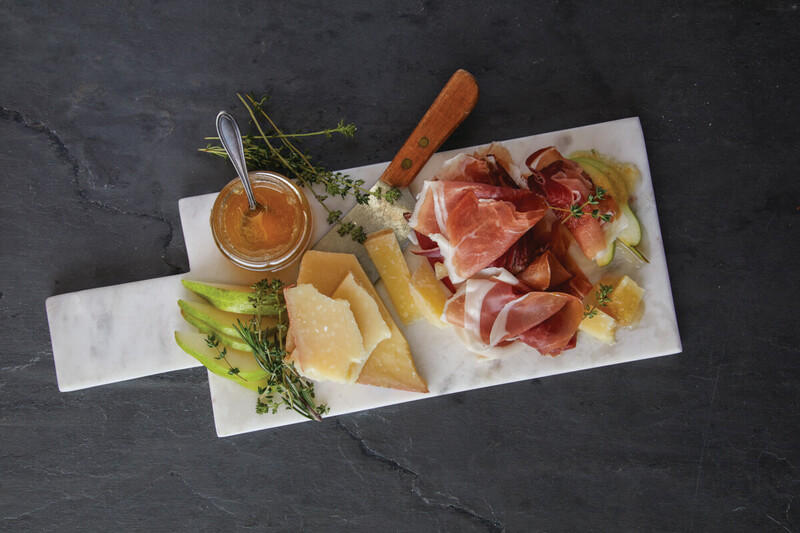 Parma Di Prosciutto’s subtle, sweet flavor will bloom when paired with goat cheese and fig jam, or with a Parmigiano Reggiano for a salty contrast. Auricchio, a family-owned Italian cheese-making firm based in Cremona, leads the nation in provolone production. The Provolone Auricchio debuted in 1877, its signature flavor attributed to its proprietary rennet blend referred to as the “secret of Don Gennaro,” after Gennaro Auricchio, the company’s founder. The Auricchio Provolone Stravecchio, a firm, sharp cheese aged for 14 months or more, has a firm texture and a sharp yet creamy flavor. It works well grated over pasta or served in thin slices with cured meat, like Bresaola or Soppressata. Pair it with a full-bodied red wine for best results. Casatica Di Bufala is a soft-ripened buffalo-milk cheese from the region of Bergamo in northern Italy. Aged for only 5 weeks, the Casatica has a soft texture, creamy flavor, and sweet finish. Serve it at room temperature with a light-to-medium bodied wine. 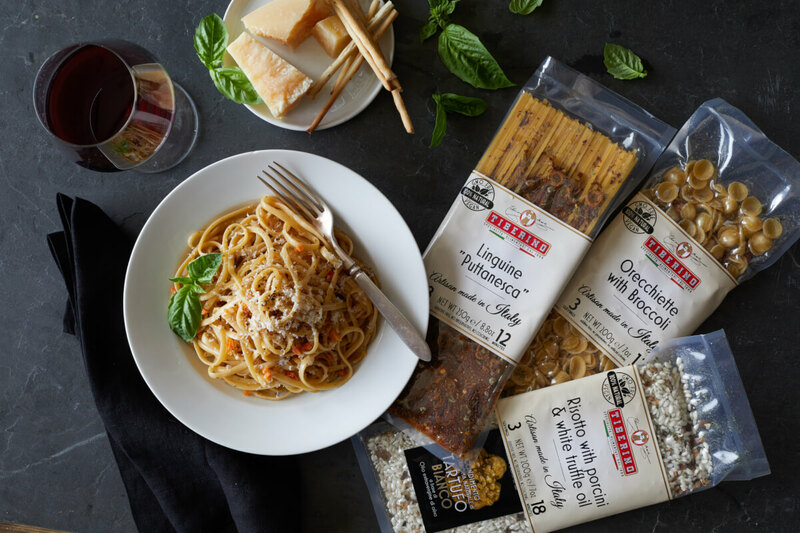 Tiberino, a classic Italian food manufacturer, has put together a set of complex and flavorful one-pot pasta recipes and placed them within reach of the non-professional food enthusiast. Their product line includes vegan-friendly dishes (such as Linguine Sorrentina and Pennette Arrabbiata) that require only the addition of water and olive oil. This sweet and sparkling Moscato Bianco from the Lombardy region carries flavors of peaches, rose and ginger, with an apricot finish. It will go well with a salty cheese, such as Cheddar or Gruyere. This bold, structured semi-sweet red will shine when paired with beef or venison. A well-balanced, fruity white wine will go well with cured meats and light cheeses. Try it with your Parma Di Prosciutto!